We’ve still got the second leg of the Eurocup Final to enjoy in Turkey next week but if the first leg is anything to go by, it is shaping up to be an absolute cracker. This is because this was a game that featured a big comeback and in the end, only 4 points separated the two teams. The final is on a knife-edge and both teams will think that they have a chance of lifting the trophy next week, but equally, both teams will know how difficult it is going to be. The four points give the French team a slim lead to hold but with the Turkish team being formidable at home, it should be an excellent affair. Mind, you, the French side are not too shabby away from home so this is a match that is well worth watching next week. While Galatasaray will be annoyed at having lost the game, they’ll likely take some comfort from having led for most of the game. They know they have what it takes to take on the French side and in front of their home fans, they’ll be a different proposition in midweek. The away team were in control at the start of the third quarter but three minutes into the final phase of the game, Louis Campbell struck a three-point shot and then Matt Howard came to life in the last five and a half minutes of the game, grabbing 4 points in an 8-1 scoring run. At this stage, the French side were 8 points ahead and looking good for the second leg but Galatasaray rebounded and cut this lead in half in the final minute of the game. Louis Campbell grabbed a total of 16 points in the game with 5 of these coming in the last quarter. Jeremy Leloup and Matt Howard both grabbed 11 points in the win.For the losing team, Vladimir Micov grabbed 17 points, Blake Schilb provided 12 points and Chuck Davis managed to serve up 11 points from the bench. Davis managed to propel himself into second place in the all-time list of scorers in the Eurocup. That is quite an accolade but he’ll be hoping for something more tangible at the end of the second leg. It all comes down to Wednesday night in Turkey. 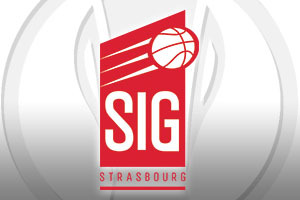 Will the hosts be able to overturn the deficit from the first leg or will Strasbourg be able to hold on, or even extend their lead, in front of the noisy Turkish basketball fanbase?